Gilles Deleuze is among the twentieth century's most important philosophers of difference. The style of his extended oeuvre is so extremely dense and cryptic that reading and appreciating it require an unusual degree of openness and a willingness to enter a complicated but extremely rich system of thought. The abundant debates with and references to a variety of authors of many different domains; the sophisticated conceptual framework; the creation of new concepts and the injection of existing concepts with new meanings - all this makes his oeuvre difficult to grasp. 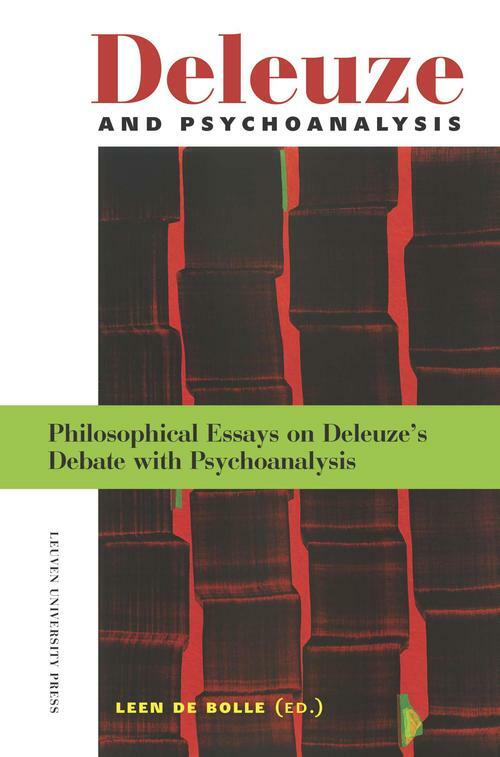 This book can be seen as a guide to reading Deleuze, but at the same time it is a direct confrontation with issues at stake, particularly the debate with and against psychoanalysis. This debate not only offers the occasion to find an entrance to Deleuze's basic thought, but also throws the reader into the middle of the dispute. The book provides a clear and perspicuous overview of subject matter of interest to psychoanalysts, Deleuzean or otherwise.